Vehicles can respond with passive warnings or take active measures in particular driving situations if they are equipped with ADAS Systems. 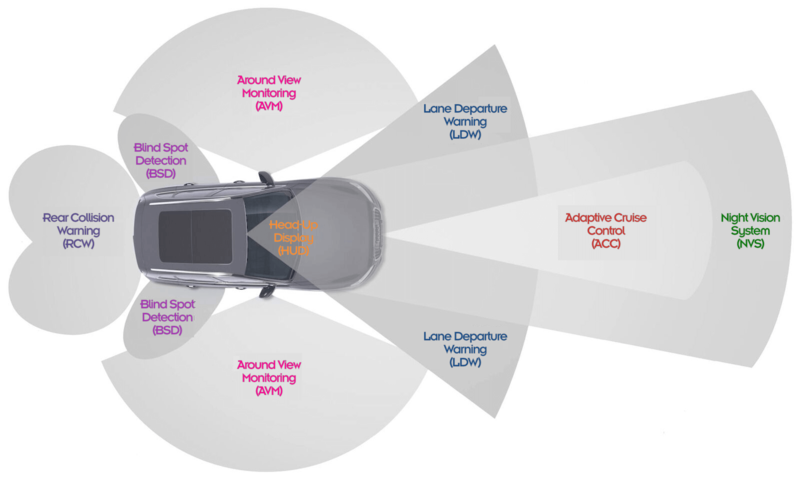 ADAS sensors process signals and send an input to subsystems which provide the desired effect. After repairing a vehicle, all sensor systems need to be re-calibrated, otherwise the vehciles ADAS system will not work properly. There are several advanced driver assist systems to help drivers recognize and react to road hazards. Advanced driver assist systems use image processing cameras, radar, lidar, dynamic lighting, electromagnetic sensors and ultrasound to monitor vehicle surroundings and detect potentially dangerous driving situations. When a dangerous situation is detected, the vehicle warns the driver or takes a corrective action to prevent collision.